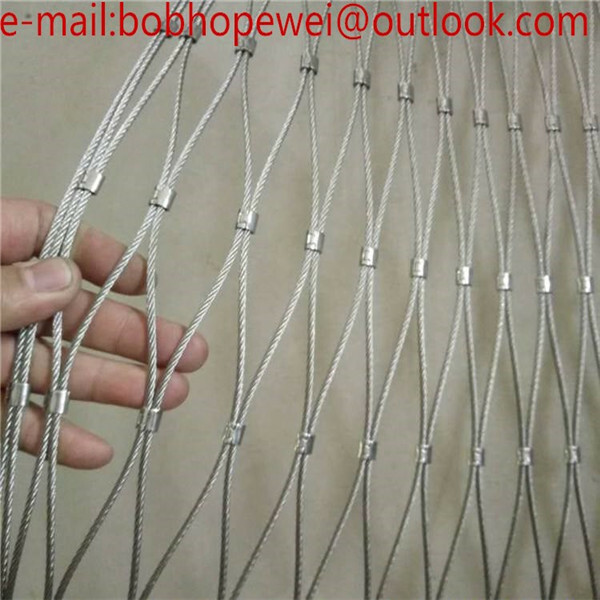 The package of stainless wire ferriled mesh is usually more than 50kgs in wooden box, less than 50kgs in carton box. 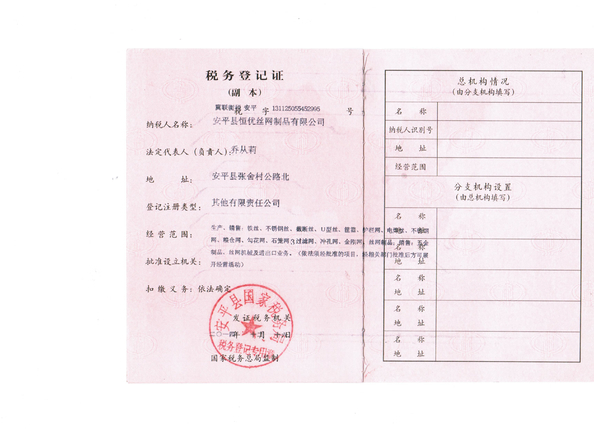 Your required package is available. 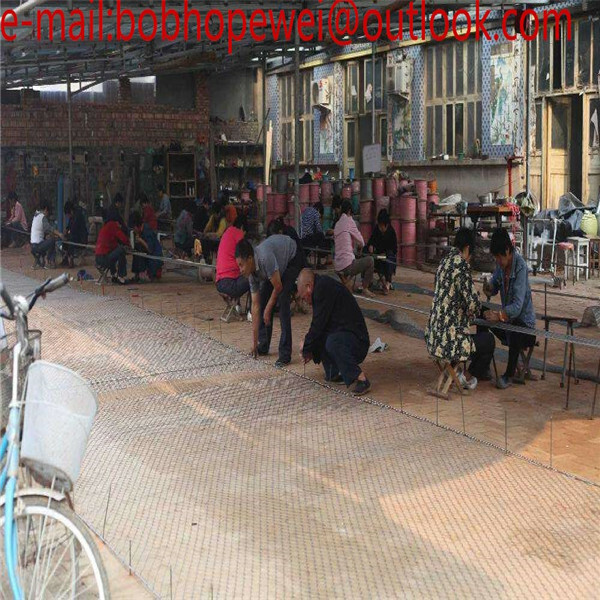 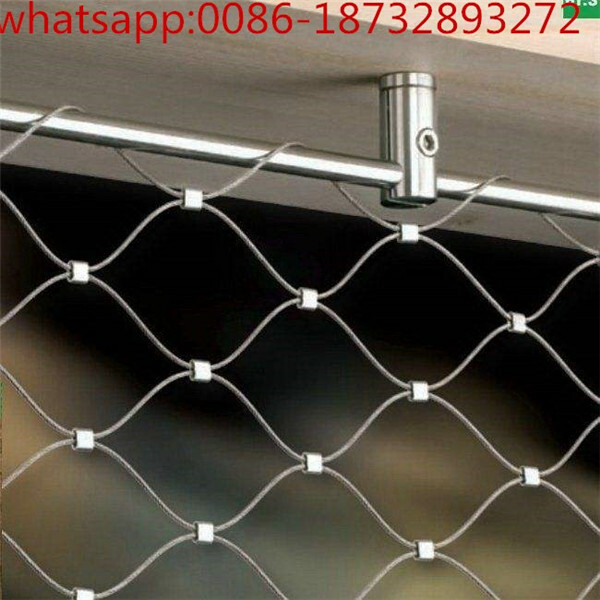 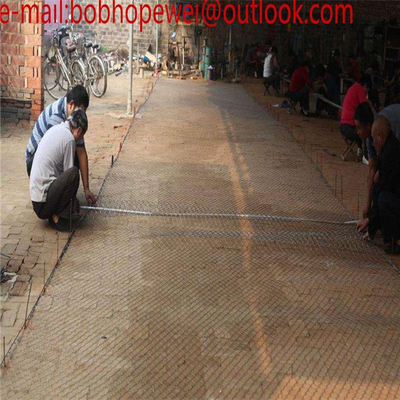 The rope mesh fencing are hand-made from the stainless steel wire rope, there are two types: knotted mesh and ferruled mesh. 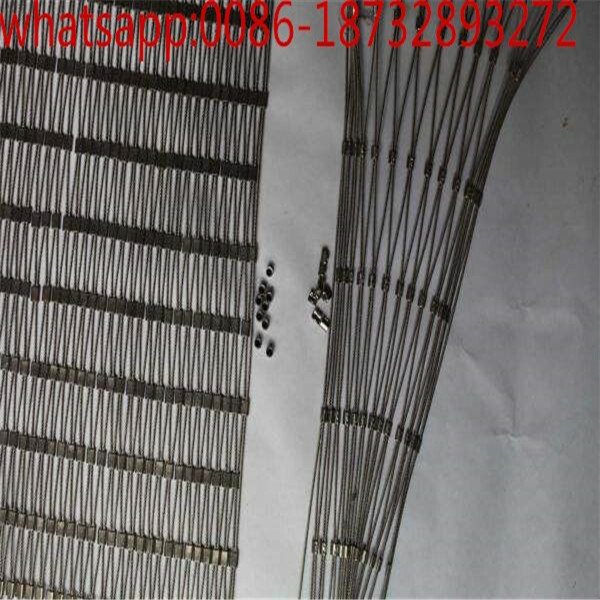 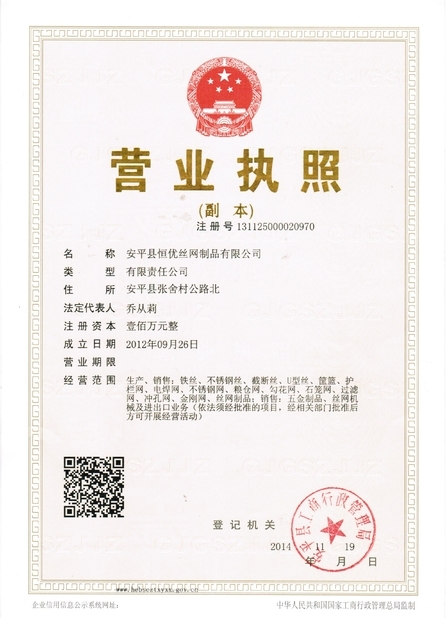 1) raw materials for high quality stainless steel wire, material level for 304.316,316 L.
it has 8%-13% nickel , life time is more longer ,not rust . 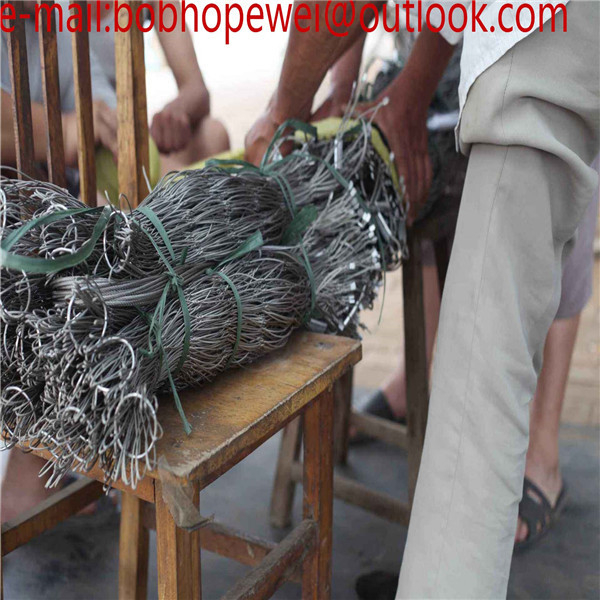 3) its no influence or noised , it is well for environmental . 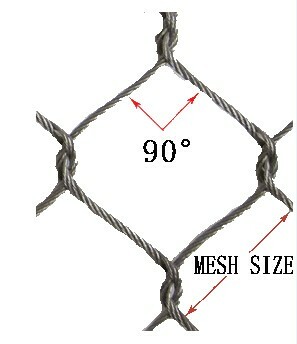 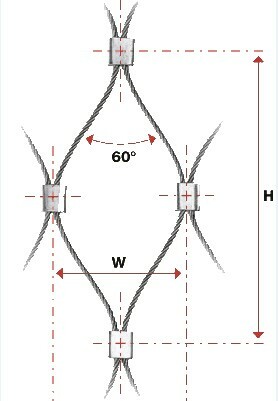 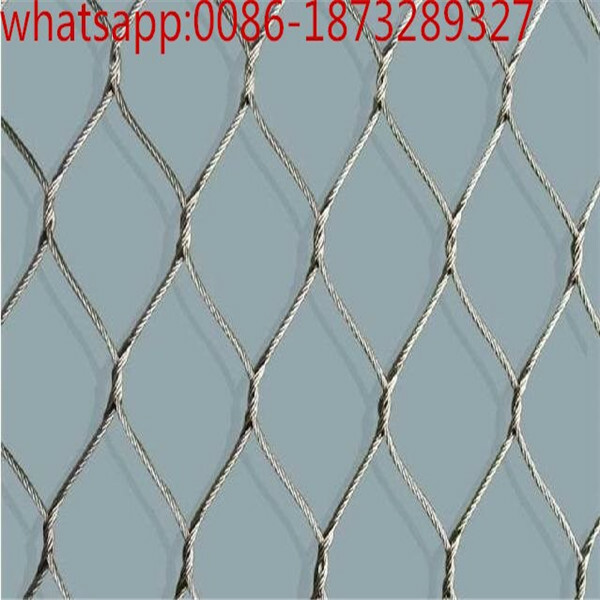 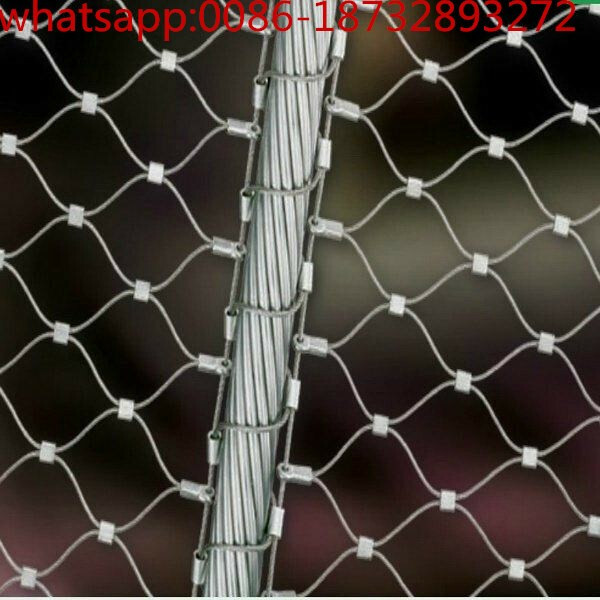 Stainless steel wire cable mesh-knotted type,called knotted mesh or hand-woven mesh,which made through cables weaving,X tend mesh square or diamond when you stretched at 90° or 60°.knotted mesh is ecomomic using as security fence ,zoo enclosures systems. 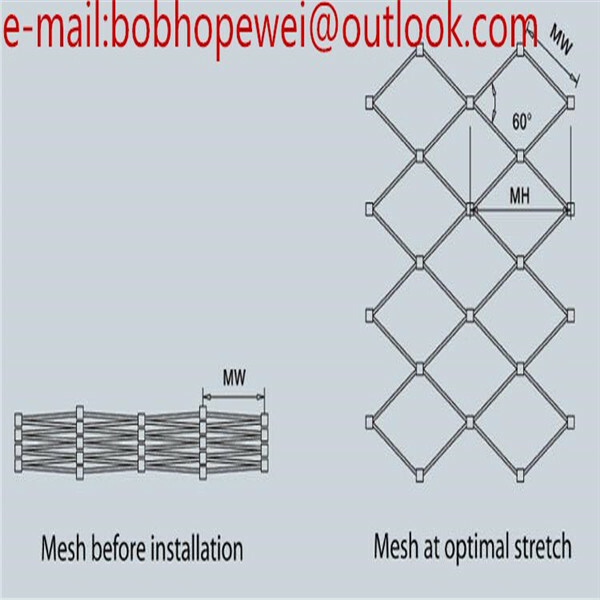 Roll the mesh up, wrap them in plastic and put them in cartons or wooden boxes,A woven bag is placed on the bread outside the box to keep rain from getting wet.